-Chronic diseases are among the most prevalent and costly health conditions in the United States. Nearly half (approximately 45%, or 133 million) of all Americans suffer from at least one chronic disease. -According to the Centers for Disease Control, in the U.S. alone, chronic diseases account for nearly 75 percent of aggregate healthcare spending, or an estimated $5300 per person annually. In terms of public insurance, treatment of chronic diseases comprises an even larger proportion of spending: 96 cents per dollar for Medicare and 83 cents per dollar for Medicaid. -More than two thirds of all deaths are caused by one or more of these five chronic diseases: heart disease, cancer, stroke, chronic obstructive pulmonary disease, and diabetes. Additional statistics are quite stark: chronic diseases are responsible for seven out of 10 deaths in the U.S., killing more than 1.7 million Americans each year; and more than 75% of the $2 trillion spent on public and private healthcare in 2005 went toward chronic diseases. -Today one in four U.S. adults have two or more chronic conditions, while more than half of older adults have three or more chronic conditions. -A recent Milken Institute analysis determined that treatment of the seven most common chronic diseases coupled with productivity losses will cost the U.S. economy more than $1 trillion dollars annually. -The same Milken analysis estimates that modest reductions in unhealthy behaviors could prevent or delay 40 million cases of chronic illness per year. Since the advent of the Fitbit and other step-counting activity trackers, most people have absorbed the idea that taking 10,000 steps a day is the benchmark for a healthy life. While scientists are usually leery of round numbers, there’s some good data to support that 10K target. 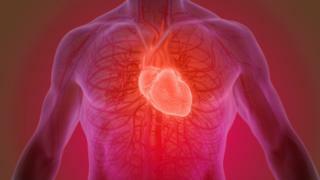 Exercising four to five times a week is necessary to stop the main arteries to the heart from stiffening up, research suggests. Two or three exercise sessions a week kept only some arteries healthy, a study of 100 people in their 60s found.